This is one of my favorite pieces by MICHAEL BYERS that far too many people can relate to in this technological world. 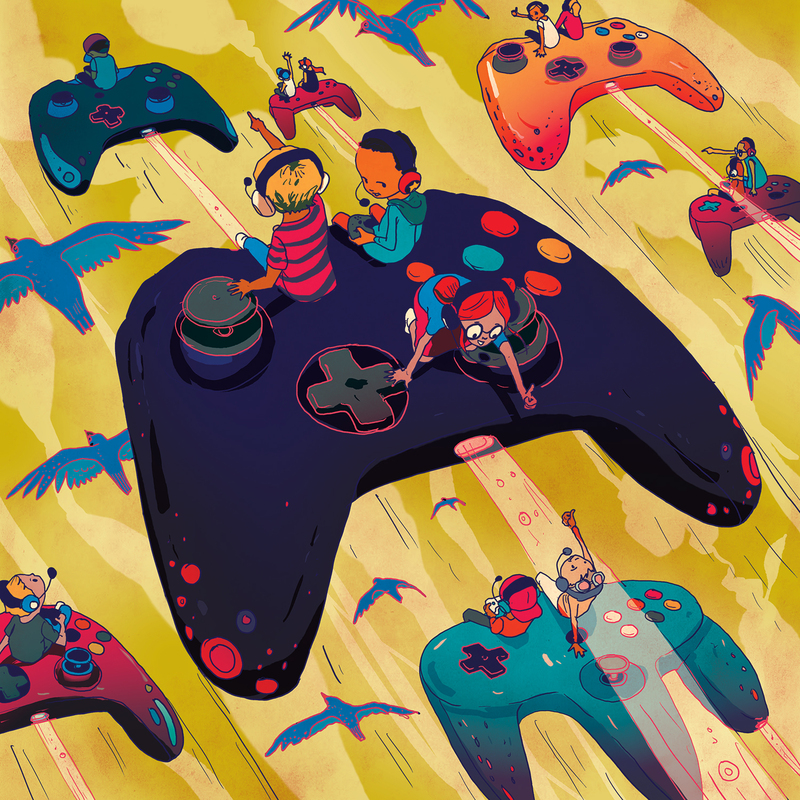 The piece was commissioned by Alberta Venture’s Apple Magazine for an article called “Too much time online?” When it comes to video games is balance the key? “When used in moderation, video games can foster collaboration and team play and lead to positive online friendships. Who wants to read on for more?